Please note that this current website does not have a shopping cart. 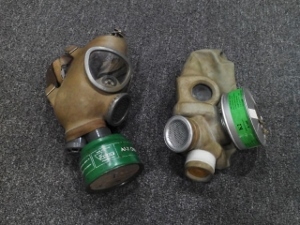 To buy our Gas Masks online, please go to our e-commerce website at NaturalExotics.ca. These are authentic gas masks from the 60s, 70s and 80s, mostly castoffs from the Hungarian or Soviet army. They are all in good condition.